The mount that holds the laser on the track has both horizontal and vertical adjustments that are used to position the laser beam parallel to the optical track and perpendicular to the goniometer face with all settings at zero. The distance from the top of the optical track to the laser beam is 3.625". 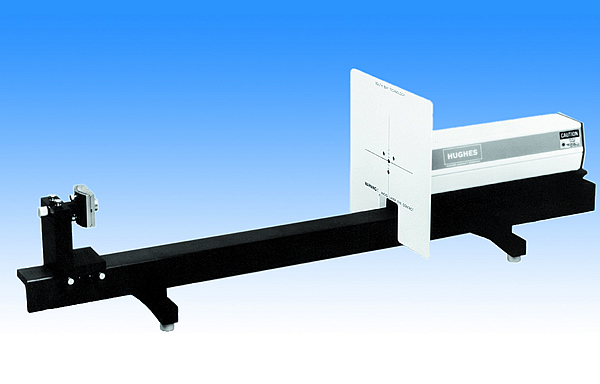 This distance can be increased to 4" with a standard adapter added to the laser mount. The reflected laser beam from the crystal surface, with a known orientation, is adjusted by changing the elements of the goniometer until the beam reflects back onto itself.